°1950 in Antwerp, Belgium. Lives in Brussels. Marie-Jo Lafontaine is an internationally renowned artist who has exhibited in much of the world from Tokyo to Antwerp, through the Documenta in Kassel in 1987, and belongs to private collections and museums like the Guggenheim in New York, the Tate Gallery London and the Centre Pompidou in Paris. 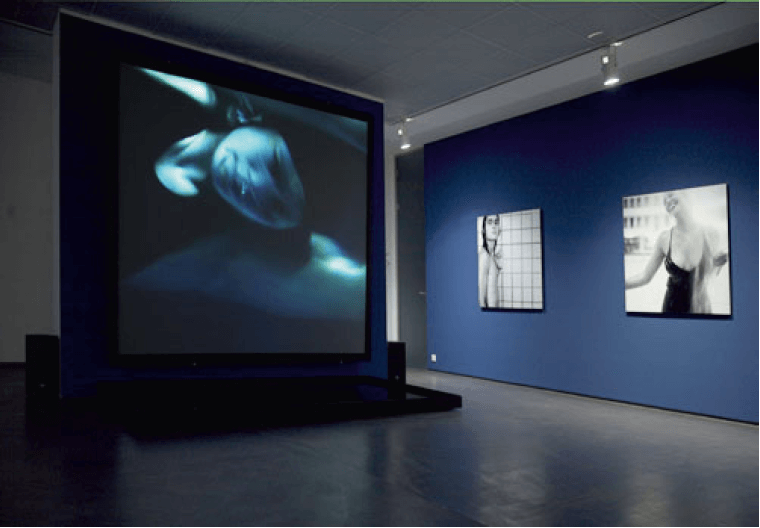 Her body of works which encompasses more than thirty years is articulated around the painting, photography, video and multimedia installations. It has created a polyphonic work that addresses many genres and subjects: politics, childhood, loneliness and death, society in the era of globalization, power and money. And this poetics meets in “Dark Pool” its organic form: water, giving rise to the image. Water as a fundamental element of the relationship at first glance, is not only one of the four elements that creates a responsive relationship with the world, but the initial surface where the mythological look (Narcissus) and photography (Hippolyte Bayard) finds its aesthetic, phenomenological and symbolic origin.